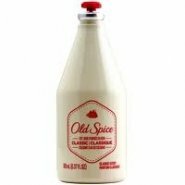 Old Spice's buoy-shaped bottle cologne has been its staple product, available in its original scent as well as newer Pure Sport. 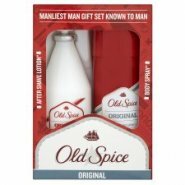 In 2006, Old Spice introduced an all-new fragrance, OS Signature, which won the magazine FHM 's 2006 Grooming Award for Best Sporty Fragrance. Old Spice Red Zone products include a "Scratch-and-sniff" version of the Signature fragrance.